Big Racquette Inc. offers a large fleet of mowers. With highly trained landscaping skills, our crews follows a 3” height rule unless a customer asks for shorter. We feel that this length offers the best grass clippings that provide great nutrients for the lawn. We offer Seasonal contracts, weekly or Bi-Weekly Services. Locally sourced cedar mulch. 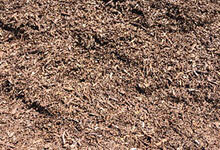 There are many benefits to using wood mulch in your landscaping. Mulch helps your plants retain water longer and keeps roots cooler to reduce the amount of watering needed. There is more to your property looking its best than just healthy grass. 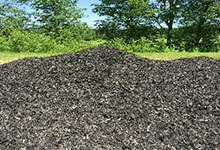 Great mulch beds create necessary contrast and dimension to your yard. Besides these aesthetic effects, mulch performs many important functions for your beds - adding nutrients to the soil as it decays, maintaining moisture in the soil, and thwarting weeds. Mulch also stabilizes soil temperatures to help your plants' roots avoid extreme cold in the winter or heat in the summer. Big Racquette Inc. Offers high-quality cedar mulch that is locally sourced, for a fresh and natural look and best results. 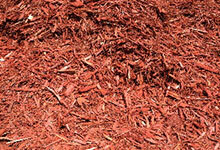 Brown, Red and black mulches as well as decorative stone are in stock and available as well. If you don’t see a service that you need preformed, gives us a call. We still might be able to help you.